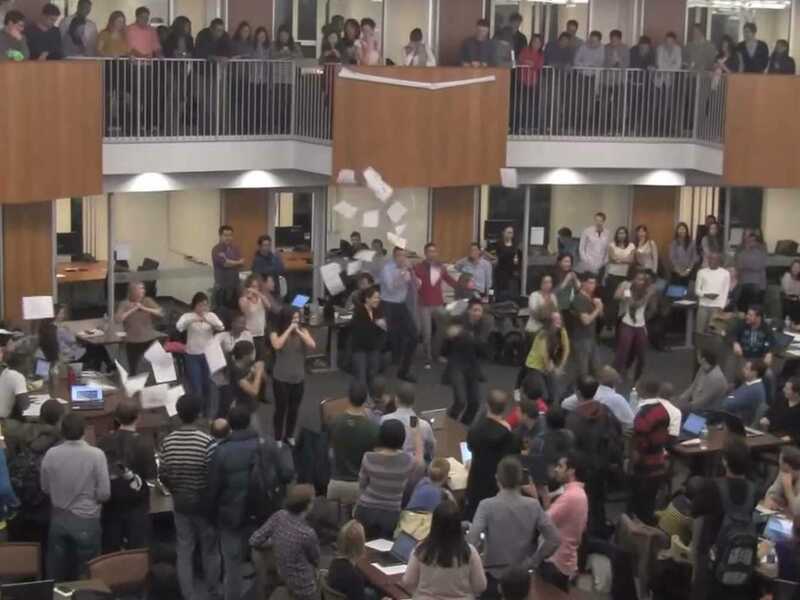 With finals creeping up on students at the Columbia Business School, second-year students wanted to show the first-years just how one should blow-off some steam.By organising a flash mob, obviously. The second-year class e-vited the first-year to receive a ‘class gift’ in the library, said Braxton Bragg, class of 2013, CBS, in an email. The ‘gift’ was a choreographed dance sequence feature 100 plus second-year students, featuring songs the first-years had used earlier in the semester.